Norway’s Eurovision history is a case of extremes – they have won the Contest three times, but also hold the record for the most amount of last place results (11 in total, four of which scored the infamous ‘nul points’). 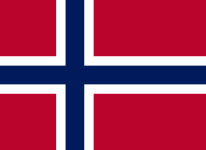 Since their debut in 1960, Norway have participated almost every year apart from two occasions in 1970 (due to a Nordic boycott of the Contest) and 2002 (due to relegation). Traditionally Norway usually send their entries in English whenever the free language rule has been in place. Norway made their Eurovision debut with the song “Voi Voi” (performed by Nora Brockstedt), which finished 4th. Interestingly, the title of the song is in the regional Sami language. Through most of the decade, they scored middling results, with their best result in 1966 when they finished 3rd with the song “Intet er nytt under solen” (performed by Åse Kleveland). However, they also suffered their first set of last place results in 1963 (scoring ‘nul points’) and 1969. The 1970’s in Eurovision were not kind to Norway, their only bright spot in the decade being a single top 10 result in 1973 with “It’s Just A Game” (performed by the Bendik Singers) finishing 7th. In this decade they scored three more last place results in 1974, 1976 and 1978 (the latter scoring ‘nul points’). Their 1980 entry “Sámiid Ædnan” (performed by Sverre Kjelsberg & Mattis Hætta) interestingly enough was a Sami-language song protesting against the construction of reservoirs in the country, and the performance is still used in Eurovision-related clip shows to this day. The following year in 1981, Norway suffered yet another last place result, scoring the infamous ‘nul points’. Norway’s run of bad luck finally ended in 1985, when female duo Bobbysocks! gave the country their first Eurovision victory with the song “La det swinge”. Famously, host Lill Lindfors congratulated the pair by saying: “I must say I am honestly very happy that this happened because Norway has been last on so many times that you really deserve it!”, Hanne Krogh (one half of Bobbysocks!) replied: “You’re happy? What do you think we are?!”. Norway finished the rest of the decade with a mixed set of results, including a top 5 result in 1988 with “For vår jord” (performed by Karoline Krüger) finishing 5th. The early 1990’s saw Norway once again linger near the bottom of the scoreboard. In the middle of the decade however they earned two consecutive top 10 results in 1993 with “Alle mine tankar” (performed by Silje Vige) finishing 5th, and in 1994 with former Bobbysocks! member Elisabeth Andreassen finishing 6th with “Duett” alongside Jan Werner Danielsen. Then in 1995, Norway earned their second victory in the Contest with the mainly instrumental song “Nocturne” performed by classical collective Secret Garden, which also broke the chain of consecutive Irish wins in the 1990’s. They followed it up in 1996 by finishing 2nd on home soil, with Elisabeth Andreassen representing Norway for the third time with the ballad “I evighet”. However, 1997 saw Norway return to their run of bad luck by finishing last once again, with their fourth ‘nul points’ result. Since the turn of the century, Norway have experienced a mixed bag of results. In 2001, they found themselves relegated from taking part in the 2002 Contest after finishing last. In their return in 2003, they scored their first top 5 result in several years with “I’m Not Afraid To Move On” (performed by Jostein Hasselgård) finishing 4th, before finishing last again the following year in 2004 having earned an automatic place in the Final. Norway failed to qualify from the Semi-finals for the first time in 2007, before bouncing back in 2008 with the song “Hold On Be Strong” (performed by Maria Haukaas Storeng) finishing 5th. In 2009, a certain song taking part in the national final was hyped to be a potential Eurovision winner before it had even been selected as Norway’s entry. The song “Fairytale” by Alexander Rybak lived up to its potential, and not only secured the country’s third Eurovision victory, it smashed the record for the highest scoring Eurovision song of all time with 387 points, and also holds the record for the biggest winning margin over the runner-up (169 points). Until 2012, it also held the record for the most amount of 12 points received. Norway then once again sunk to the bottom of the scoreboard, failing to qualify from the Semi-finals in 2011, and finishing last in the Final in 2012. Fortunately for them, the following two years were more fruitful by earning three consecutive top 10 results, with “I Feed You My Love” (performed by Margaret Berger) finishing 4th in 2013, and both “Silent Storm” (performed by Carl Espen) and “A Monster like Me” (performed by Mørland & Debrah Scarlett) finishing 8th in 2014 and 2015 respectively.